The city of Abuja have began its countdown to the grand finale of the 18th edition of Most Beautiful Model in Abuja and its Noble Achievers Award recognition, with 30 stunning contestants, noble nominations, attractive gestures and adorable composition. 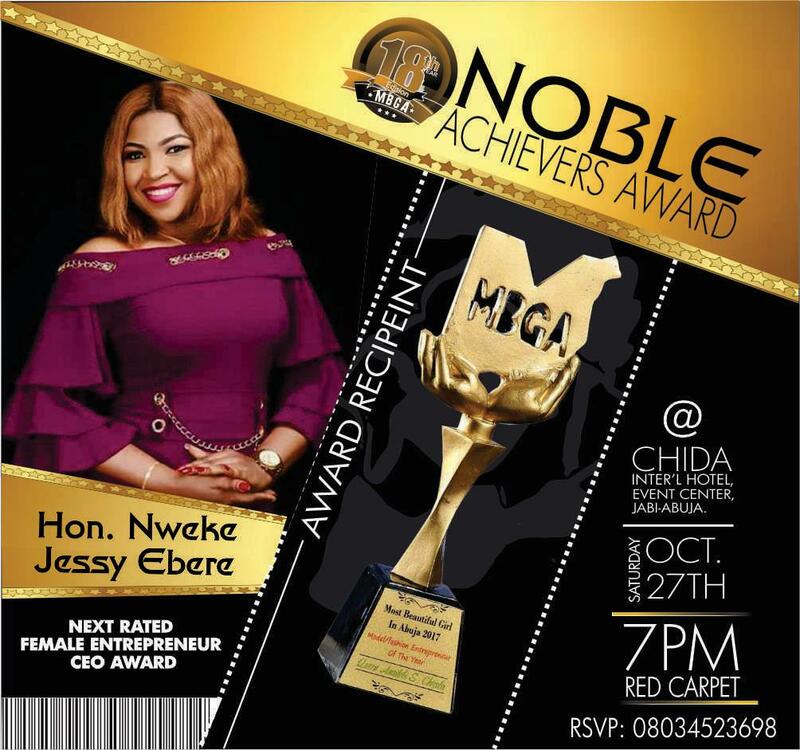 The most anticipated glamour event, will be hosted at Chida International Hotel and Event Centre, Jabi Abuja on Saturday, the 27th of October, with it's Redcarpet to begin at 7:00pm. The popular pageant contest will be hosting prominent guests from across the country; public office holders, top executives, popular artists, comedians and a host of others. 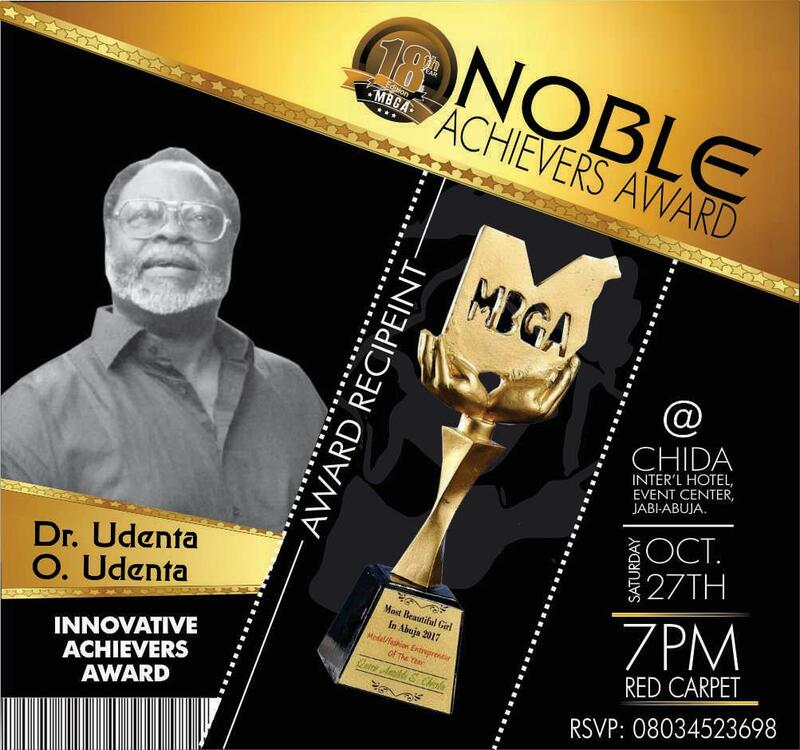 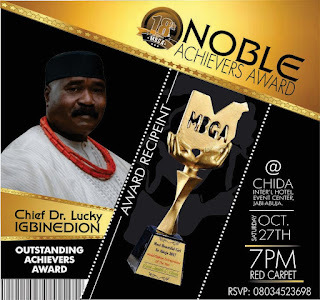 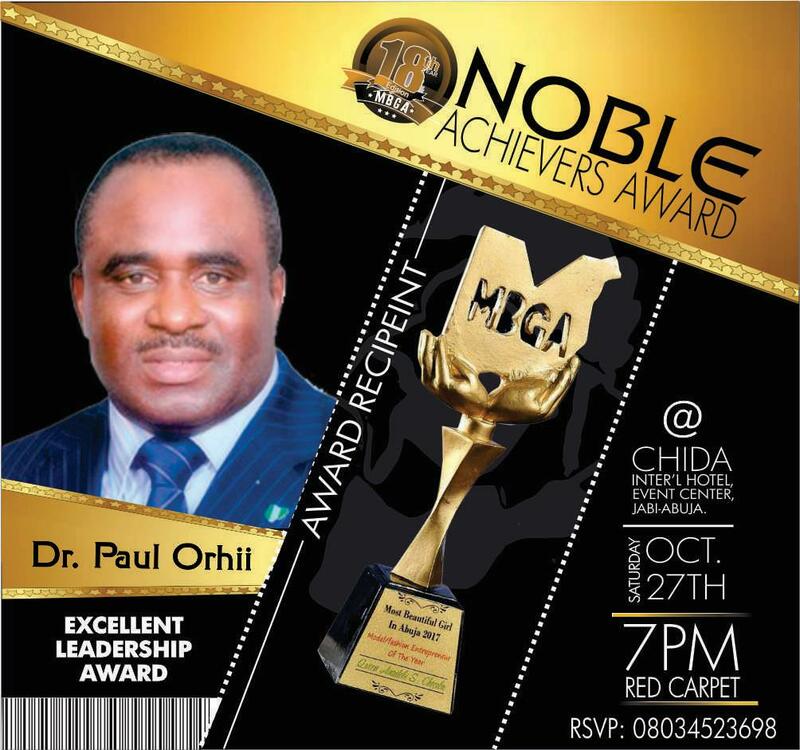 According to the organisers of Noble Achievers Awards, the event will recognise top public figures like former Governor of Benue state, HE Gabriel Suswam, former Governor of Edo state, HE Lucky Igbenedion, Hon. 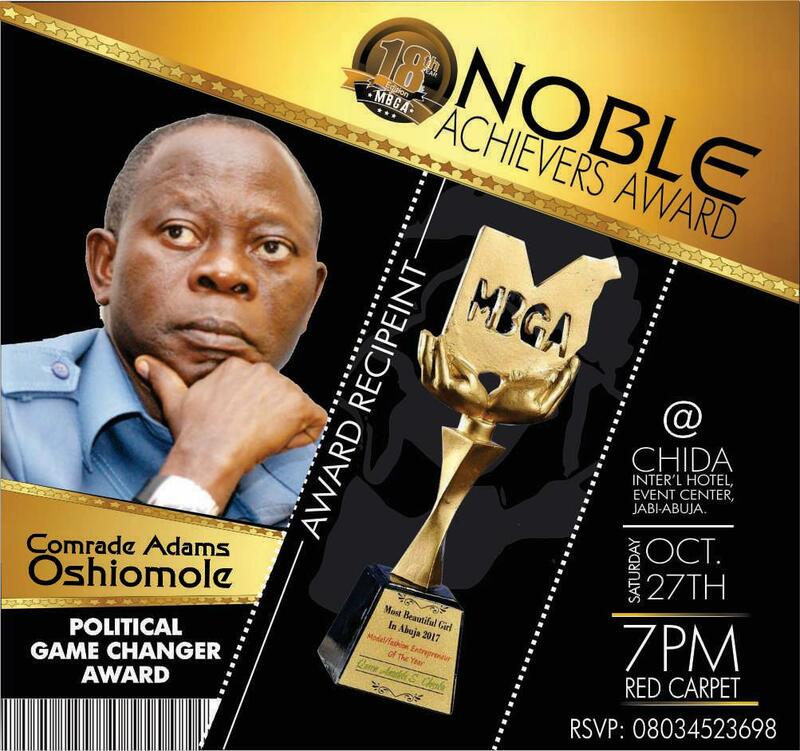 Nweke Jessy Ebere, Comrade Adams Oshiomole, Dr. Gabriel Oyibode, Dr. Udenta O. Udenta, Dr. Paul Orchii and HRM King Ateke Tom. The award will be presented in different categories of impact areas and in recognition of their noble commitments to national development. 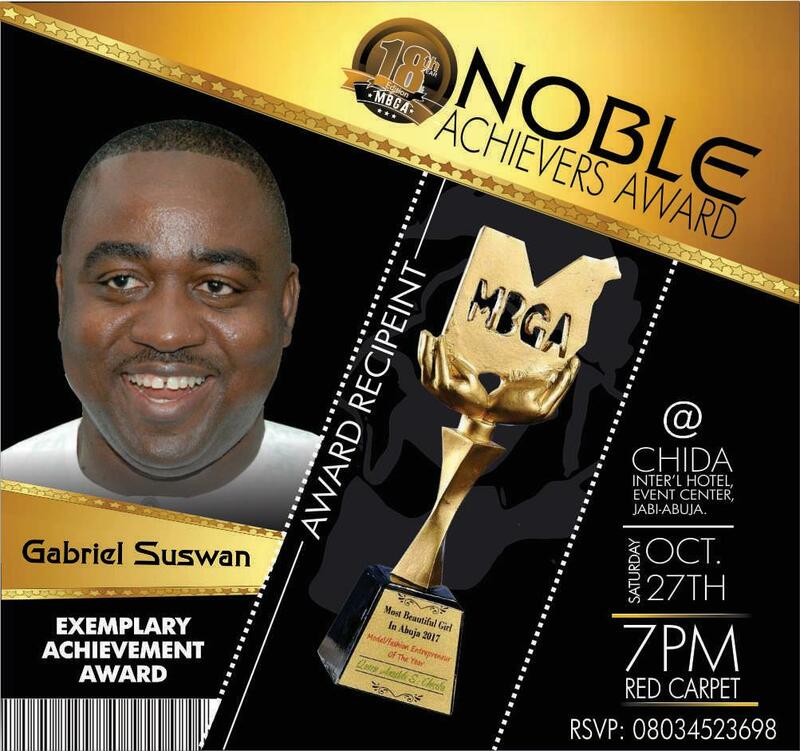 The event doubles as an award presentation and a grande finale of the 18 edition of Most Beautiful Girl in Abuja - MBGA.